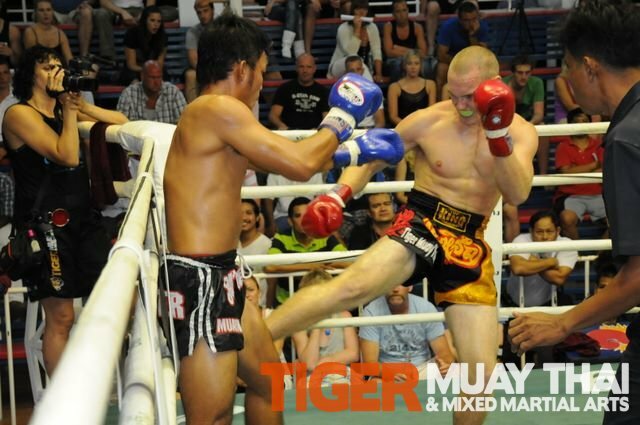 Tiger Muay Thai and MMA training camp fighters in Phuket, Thailand scored 8 wins with 5 Ko’s and 4 losses over four nights in Thai boxing matches at Bangla and thai Boxing Stadiums from July 15-19, 2010. 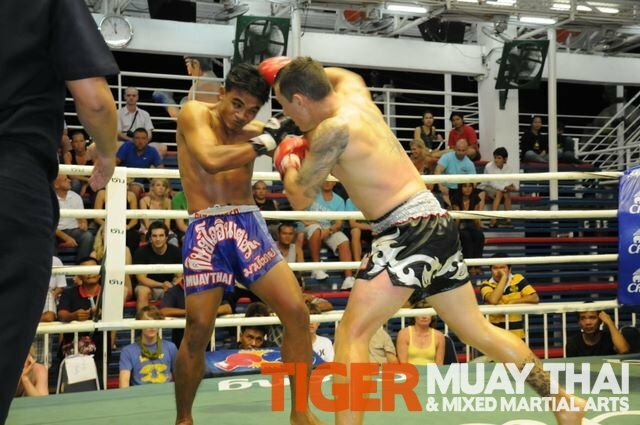 Ronaldo scored a 2nd round KO against hard puncher Malarkhan who has 200+ fights and is now a regular at bangla and Phuket circuit fights and still dangerous with KO power in knees and hands. Tim scored a sweet 4th round KO with a knee to the head going four hard rounds before finding the drop shot. 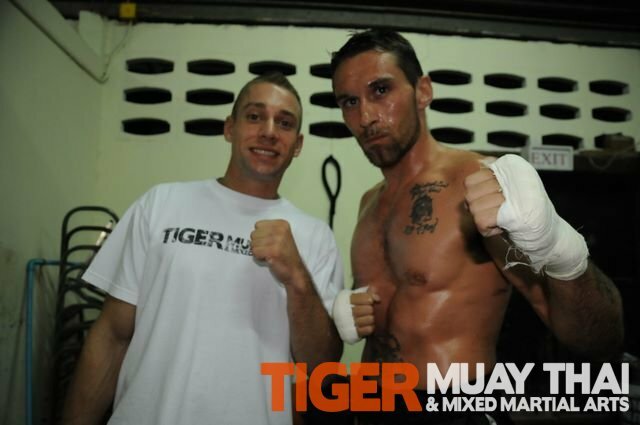 Cyrus took out his opponent in the first round as he prepares for his big fight in Malaysia. 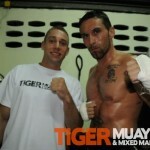 Daniel, PhalangPhet, Simon, and Pee all scored points wins over 5-rounds in the Thai boxing ring. Daniel is also preparing for a big fight in malaysia at end of July. Farida lost a great women’s Muay thai fight on points that had the crowd roaring. Said, Jared, and Ngoo all lost in the 4th round.